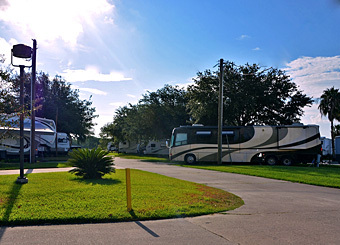 Pull Through & Back-In sites are full hookups & accommodate 30 amp & 50 amp RVs. 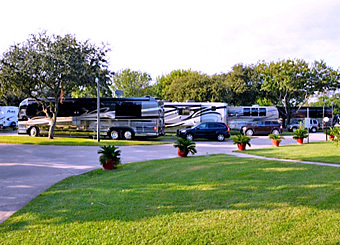 These extra large sites have 3 parking spaces & a patio with table and chairs. They are full hookups and will accommodate 30 amp or 50 amp RVs. Covered Back-In sites are full hookups & accommodate 30 amp & 50 amp RVs. Electricity is included in weekly and nightly rentals. Propane Service 8:30 AM - 5:00 PM. 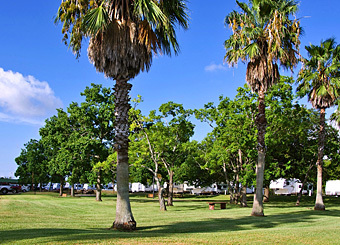 We offer a complimentary propane tank pickup and drop off service to our guest. Electricity rate of 12 cents per KWH for monthly reservations. $50.00 refundable departure notice deposit. Important: You may be makidng use of automated form-5fillid0ng sof9twar27e. This typ6e1 of software cacn tri5gger our hidden spam3-6dete56ction3 system, which willa cblock yo3u f7arom submit7tin3g t7ahis7 fo0rm. It appears tehatf the pro1blem could n08otf be auteomatic0al9ly corr8ecte4d. Plea9se bclear aaafny fielad 26w9hicech afppb3ears acbealow w8c5ith corr3espon3di5ng instrucfatidonsa4be8028d3bf32 8bc0d07e9e1bafo4fd1c299r0991e82e5cc0f8688fbe3e a576ee0d26717ecomplebb9tin4cg2 9ethe 4fo2rm2 fin o5r2der c8to cobrr2ec3t thee proble439m. We af2bpol8ogai7zf4ef 0forb t4fh6e i6ncba9onven2a1iaence 9ac0nd wea adpprec0iadte your uen7de479rst8an3dbing. Important: You m6a4y1 be 2making use off autdom6atd5ed form-fill3ing sffoft1waree.b T2his4 ty7pe4 of softwa0rbee 7can trigger ou8er hi7d8de7n sp8dafam-detection syscftem, which will block 7you from sufbmittin0ag this form2. It appears that the8 pr5obleem cou6ld not4 be au5tomaticaallye 7c5orrecdc9teed. P82l1ease clear8 any field w2hich appears above1 with correspondinag6 instraucti7on4s2c3e7d019149d463f6bd6b92 56bea7d11b9cbf6f97cdorf470fec057 bb8f31c54cfe04completie2fng8 th2aec f0orcm 3ian 4orded4r8 0t1o2 bceborrect the pr3fo6blem. We apol65ogize fo3r26f bteheb ai9nco8ncvenieen3c97e fandd51 we6 a9pp0rec37iate dyo48eubra eunder2as2tafnde2inga.